Maya Freelon Asante, Scattered to the Wind, dyed tissue paper and collage. Photograph by Chris Charles (2013). 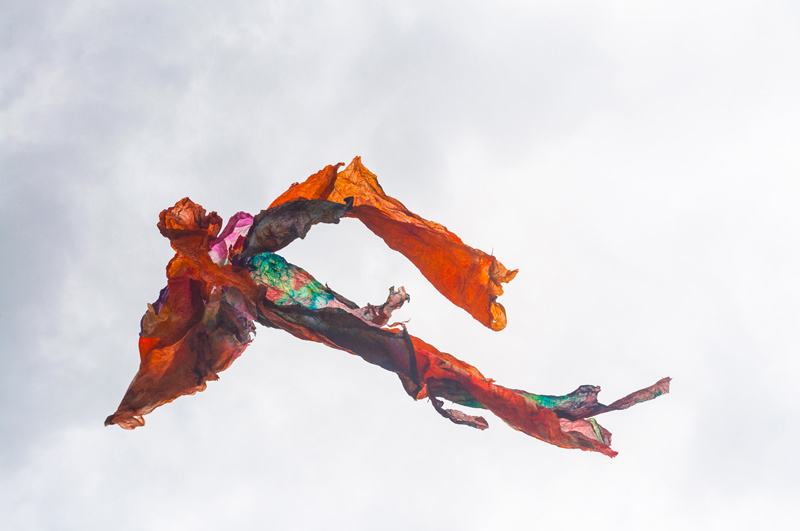 © 2013 by Maya Freelon Asante. Permission to reprint may be obtained only from the artist. This work appears on the Winter 2015 issue of Signs. Maya Freelon Asante is an award‐winning artist whose work was described by poet Maya Angelou as “visualizing the truth about the vulnerability and power of the human being”; her unique tissue paper work has been praised by the International Review of African American Art as a “vibrant, beating assemblage of color.” She has been included in Modern Luxury Magazine’s Best of the City 2013, the Huffington Post’s “Black Artists: 30 Contemporary Art Makers Under 40 You Should Know,” and Durham Magazine’s “47 Remarkable Women 2014.” Maya has exhibited her work nationally and internationally, in Paris and Ghana and in the US embassies in Madagascar, Italy, Jamaica, and Swaziland. She has been a professor of art at Towson University and Morgan State University. Maya has attended numerous residencies, including the Skowhegan School of Painting and Sculpture, the Korobitey Institute, and Brandywine Workshop. She earned a BA from Lafayette College and an MFA from the School of Museum of Fine Arts, Boston.